Well, if you read the blog regularly, or follow me on Twitter, Google +, or Facebook this is old news, but I do have the actual sales flyers that might help you decide where you stake out to get the new Scarlet Ninjini! 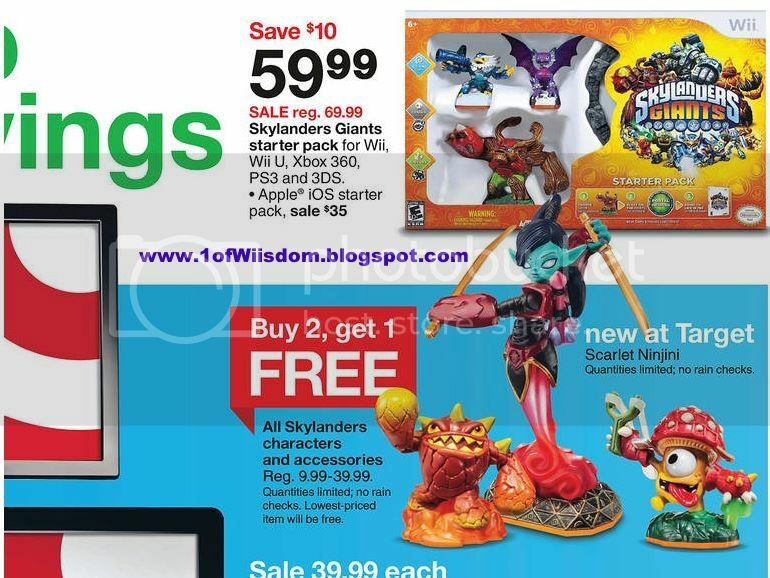 I want to stress that both Target and Toys'R'Us warn that "Quantities are Limited." 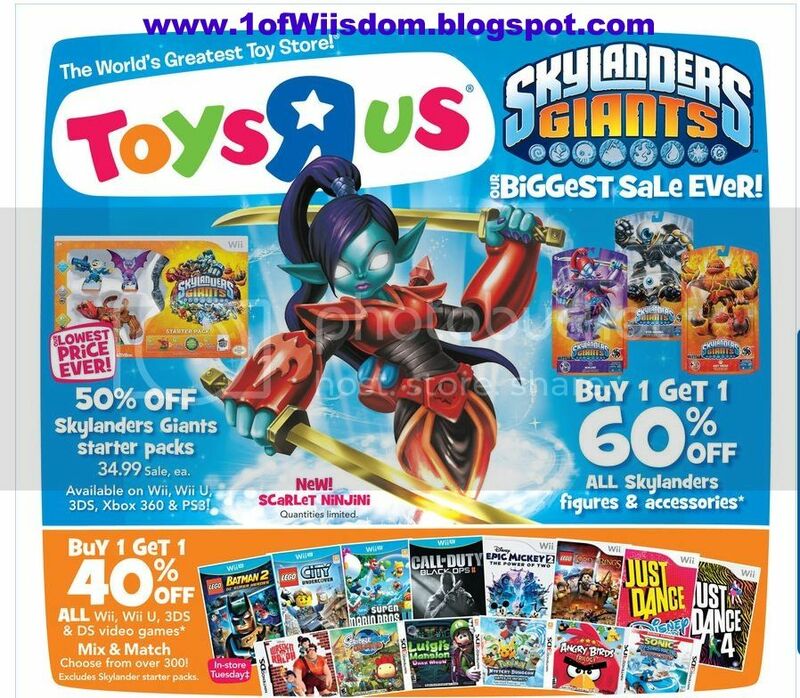 We have seen TRU botch many of these Skylander releases...Target has had her for some time, but has likely done their best to attempt to have good stock. I would hope TRU has done the same. 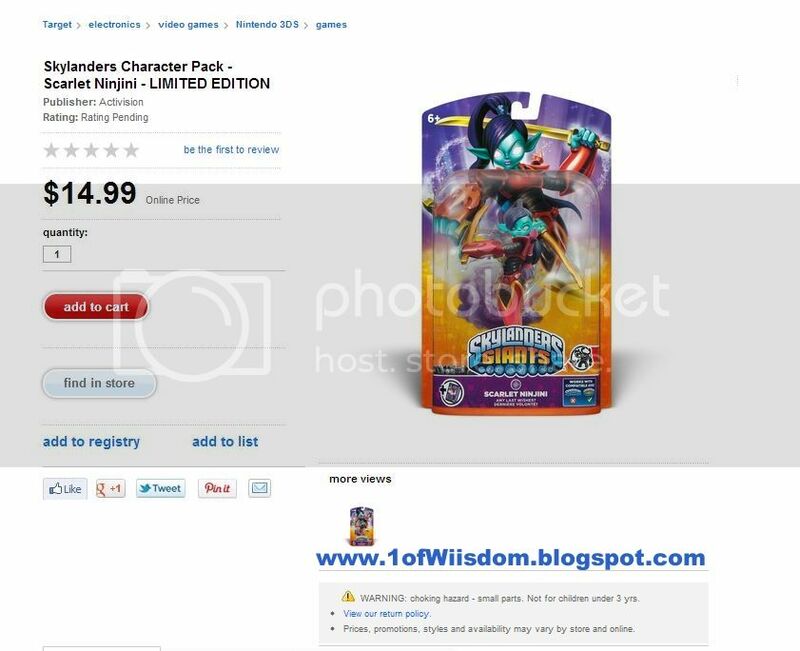 If you do follow the blog, you could have already landed her at GameStop last week, or Best Buy yesterday (I have mine on reserve, just haven't gone to pick her up yet). Also of note is TRU's BOGO 40% Sale on DS, 3DS, Wii, and Wii U Games! This sale should be good thru Saturday, May 25th and that would mean that when Donkey Kong Country Returns 3D surfaces we could land it on the promo (this is how I usually score good deals on games...if you watch the unboxings I almost always pay less than retail). Good luck...Hope you can land Scarlet (and some good deals) if you are venturing out today!